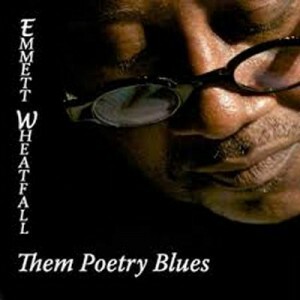 Emmett Wheatfall is a poet from the Portland, Oregon, area and has previously set some of his work to music in a jazz context. 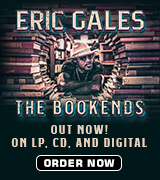 For this project he received a grant to record a blues-based selection of his work. Producer Noah Peterson contributes some sax to a core band of Peter Dammann on guitar, Nathan Olsen, keys, Louis Pain, organ, James Miller, bass and Carlton Jackson, drums. Barbara Harris adds vocals to two tracks and Janice Scroggins’ piano features on the aptly entitled “Ms Janice Scroggins & Her 88 Keys”. 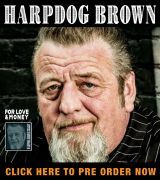 The music does classify as blues on tracks like “Big Women” where Peter wrings a torrid solo from his guitar. However there are also several tracks that are closer to jazz such as “Alfie” and opener “Never Forget”. Throughout Emmett uses his strong baritone voice as almost another instrument, intoning the words over the music. That can work quite well, as on “Big Women” and “When A Man Cries”, where he is as close to singing as it gets here. However, on tracks like “Them Poetry Blues” and “Never Forget” the repetitive nature of the poem makes for a wearing listen for someone used to lyrics merging seamlessly with the music. It is therefore interesting to listen to “If Love Was Mine”, a gospel style song on which Barbara Harris sings in counterpoint to Emmett’s ‘poetry reading’ style. The extended “Ms Janice Scroggins & Her 88 Keys” runs to over 8 minutes and, whilst having some fine jazz piano at its heart, definitely outstays its welcome. Emmett gets serious on “Miles To Go”, a poem that pays tribute to the early leaders of the Civil Rights movement, and on “Mississippi Mixed Girl” which recounts the ill-fated relationship between Emmett and a girl of mixed race whose black father did not want her dating a black boy. Several of the poems here tread familiar territory for blues listeners, ranging with relationships to an interest in food as Emmett tells us humorously of his family’s passion for “Black Eyed Peas”. While the musicianship throughout the album is excellent, the mixture of spoken poetry and blues/jazz music does not really work. However some may well enjoy the hybrid.